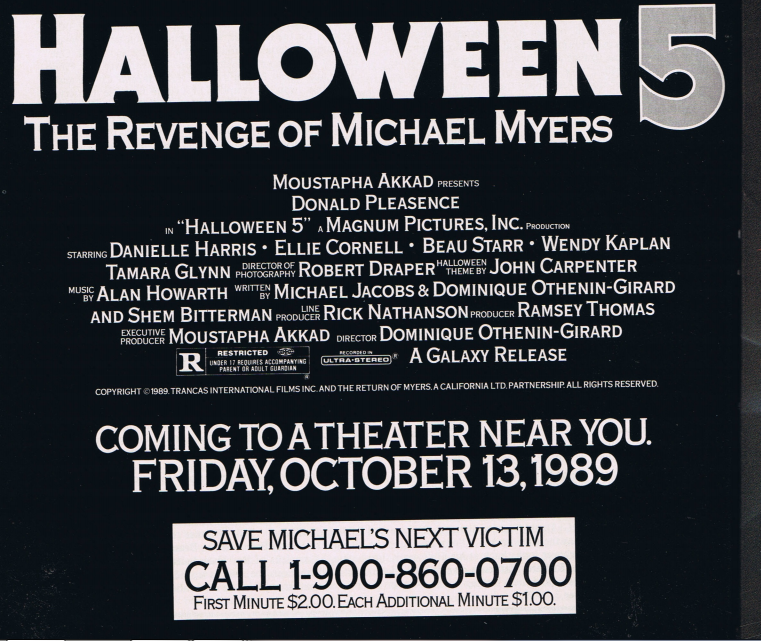 My new article at Flashbak remembers the glory days of the 1-900 horror telephone hotlines. "Although originally created in the early 1970s for an entirely different purpose, the 1-900 prefix in the American telephone numbering nomenclature came to represent, in the late 1980s and early 1990s, a “premium rate” code. This “premium rate” quote meant that higher-than-normal prices were applied to calls, with the money being used to profit the business phoned. Commercials for 1-900 telephone “hotlines” quickly became the rage (or scourge, perhaps) of late night/early morning American television for a time, with announcers imploring youngsters under the age of 18 to get their parents’ permission before calling. Legendarily, one poor kid apparently racked up nearly 20,000 dollars of charges on one premium rate 1-900 hotline in 1987, earning the premium rate business the ire of regulators. Although 1-900 hot-lines for M.C. Hammer, Jessica Hahn and New Kids on the Block represented a horror unto themselves, the actual horror genre actually got into the act too. 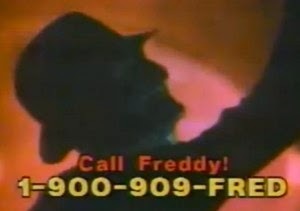 Sadly, these numbers are no longer in service, but below you can recapture the glory days of 1-900 Horror!"